We'll miss you, Didim. You were a part of our church for four years during your days at Tokyo Christian University, building some great friendships with our young people. You stayed in Japan after graduation and worked here in Japan for two more years at Raymond Academy. Now after six years you are headed back home to India. We don't want you to. But we know God has great things for you. He will use your hard-working attitude, faithfulness and positive attitude to influence many people for his Kingdom. We'll miss you, Didim! 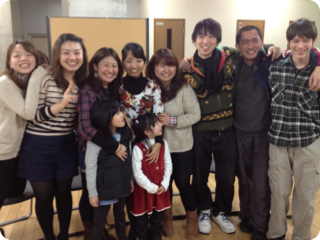 Don't forget: we're your church community here in Japan if you want to come back again.